2. 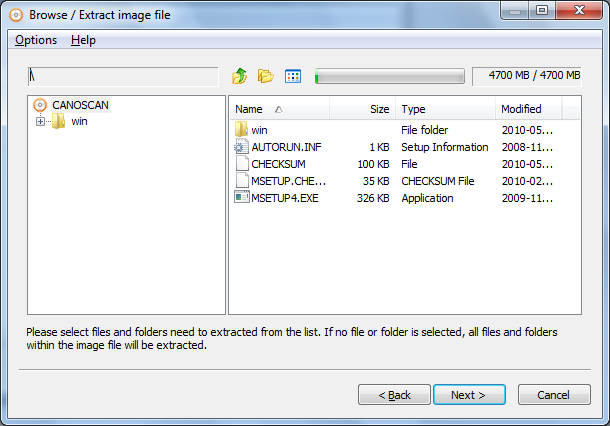 Click browse button and navigate to the BIN / CUE file you want to extract, and Click "Open" to select one of them. AnyBurn will automatically open the BIN file if CUE file is selected, and vice vesa. 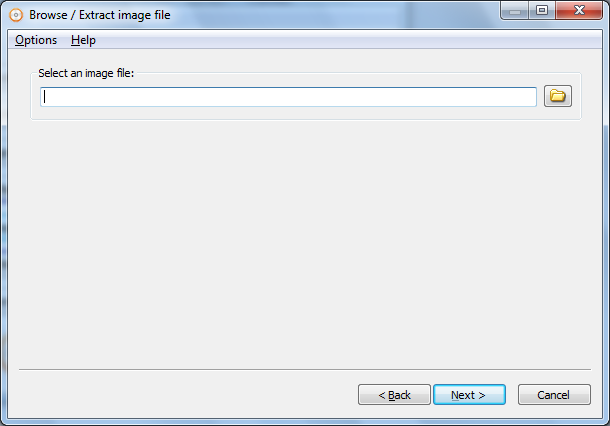 After you have selected the file, click "Next" button. 3. 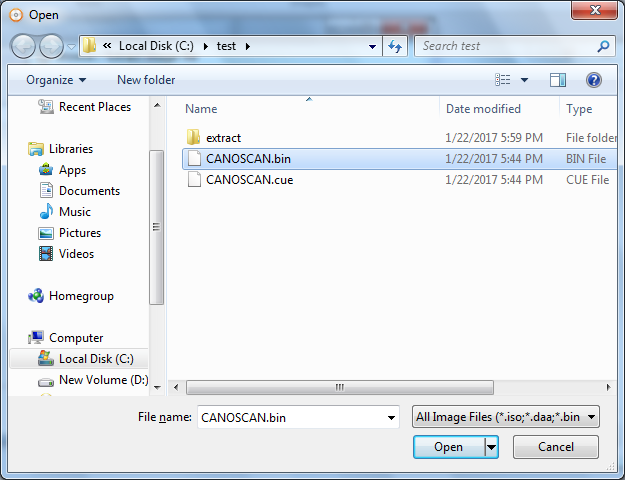 AnyBurn will list all files and folders within the BIN / CUE file. You can navigate around the folders and files in the image file. 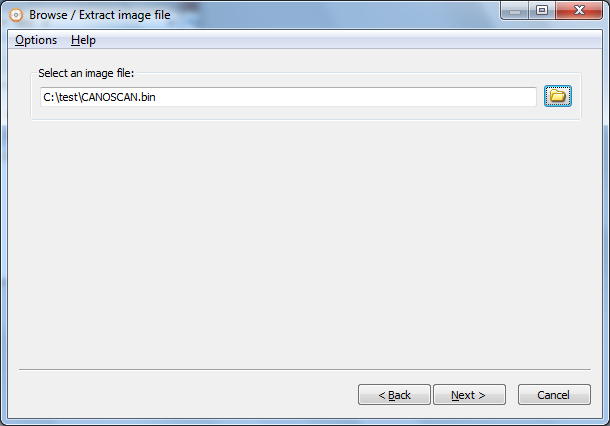 To extract BIN / CUE file, please select files and folers need to be extracted from the list. 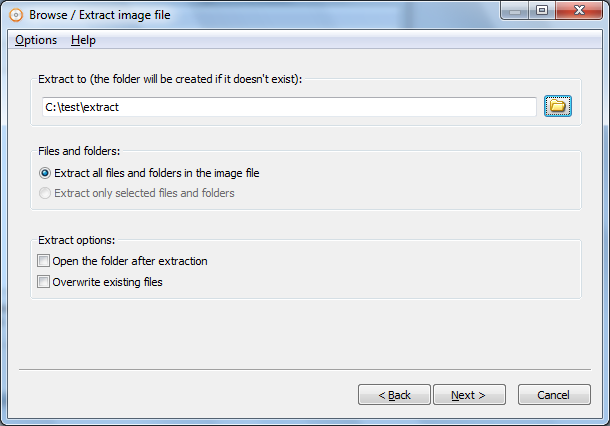 If no file or folder is selected, all files and folders within the NRG file will be extracted. 6. 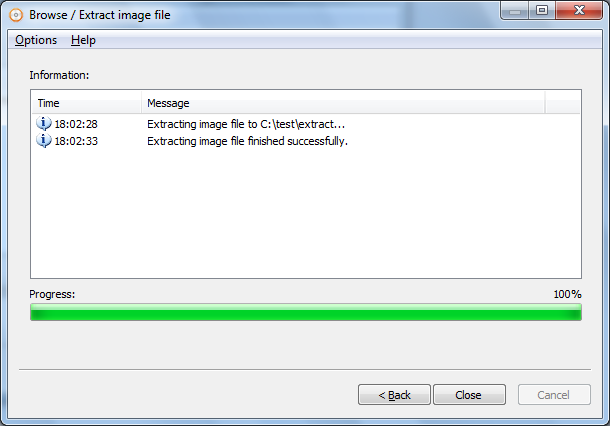 AnyBurn will start extracting the BIN / CUE file. 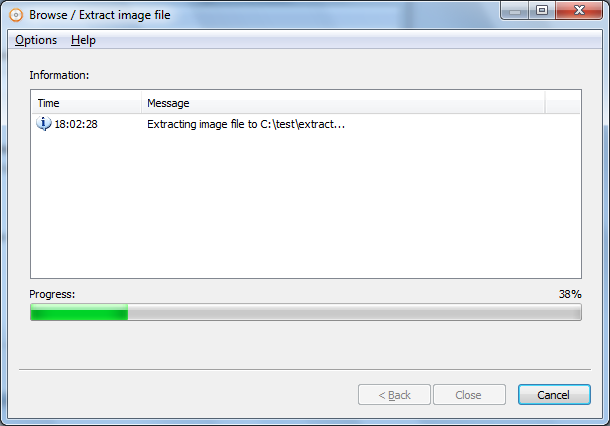 It will show the progress information and currently file being extracted.